Can't make it to Edgeley on Friday? 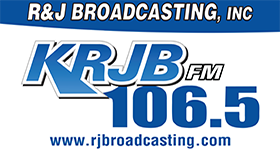 KRJB 106.5 FM has you covered! #1 HCV Burros at #2 EEK Thunder! Tune in at 6:30 PM for pregame and kickoff at 7 PM! You can aslo listen online at rjbroadcasting.com!